These wonderful oils can be used as a pre-shave oil, beard oil OR aftershave oil! Ingredients: organic grapeseed oil, organic jojoba oil, organic argan oil, organic borage oil, organic apricot kernel oil, organic rosehip oil, organic essential oils and/or extracts. 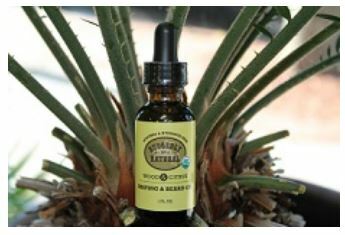 Directions for Use: BEARD OIL: Splash a small amount in palm and massage into skin and beard. Use daily for best results. PRE-SHAVE OIL: Apply a few drops to skin before applying shaving soap or shaving cream and shave as usual. AFTERSHAVE OIL: Use a few drops in place of traditional aftershave to sooth sensitive or irritated skin after shaving.